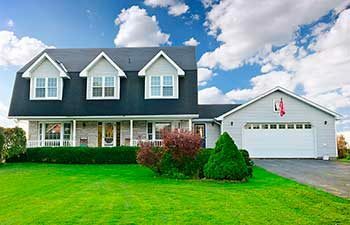 Maintaining your lawn not only helps in protecting the value, and appearance, of your home, but can also help to reduce costs over time. Keeping your yard grass trimmed to a proper height helps to reduce annoying weeds that can eventually overtake a lawn. Addressing, and fixing, weed problems can add extra expense of home ownership. Haring a lawn mowing service to attend to your yard on a regular basis can keep your home looking the best it can, while reducing your long term costs. This especially comes into play when weeds overtake places on your lawn. Unwanted plant life can eventually create open or brown spots which push out the healthy grasses you seek. Regular attention paid to these lawn problem areas will keep problem, and potential costs on check. Mowing or Grounds Maintenance service includes mowing the lawn using professional-grade equipment, trimming and / or “weedeating,” edging of all sidewalks and curbs and cleanup or “blowing” when the job is done. Our standard grounds maintenance program includes 30 cuts (April 1 – October 30) which can be billed in ten installments or on a “pay as you go” basis.